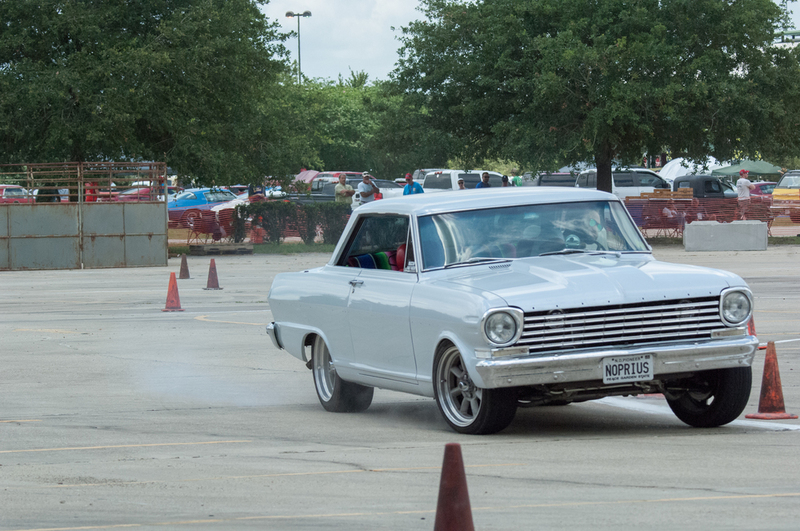 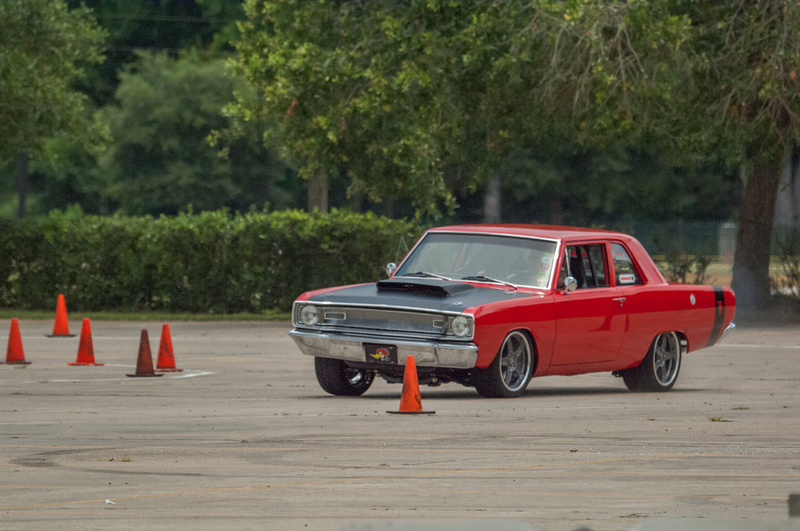 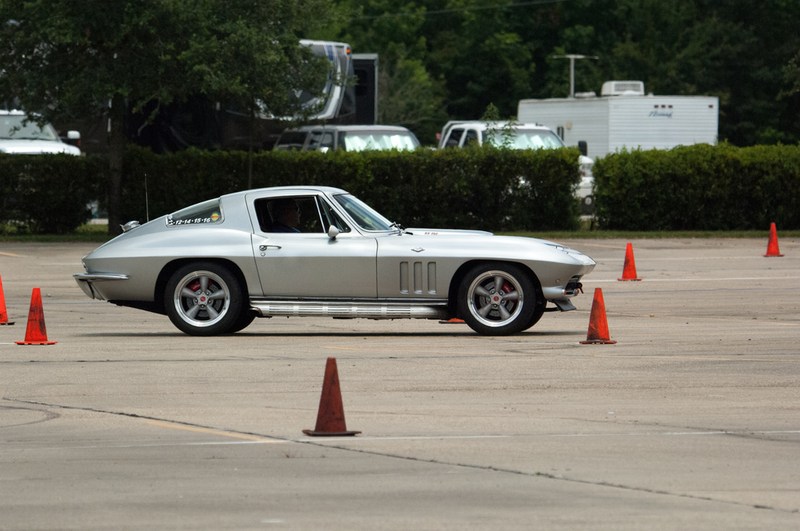 Day 1 of the Hot Rod Power Tour: The line-up, a moon shot, autocrossing (sponsored by Mother's), a Prius-kicking Chevy II, and flames at dusk. 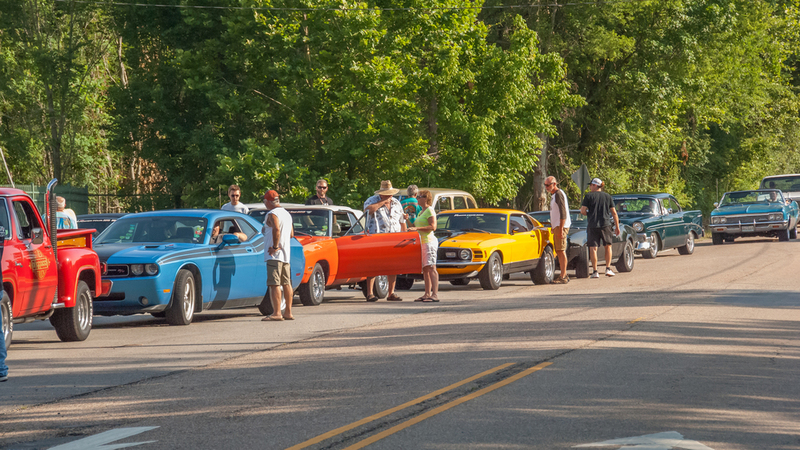 This is so much more than just standing around. 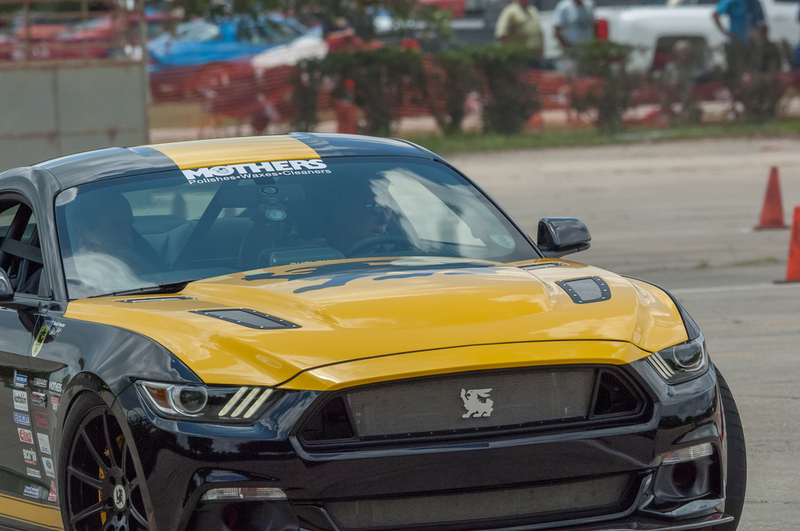 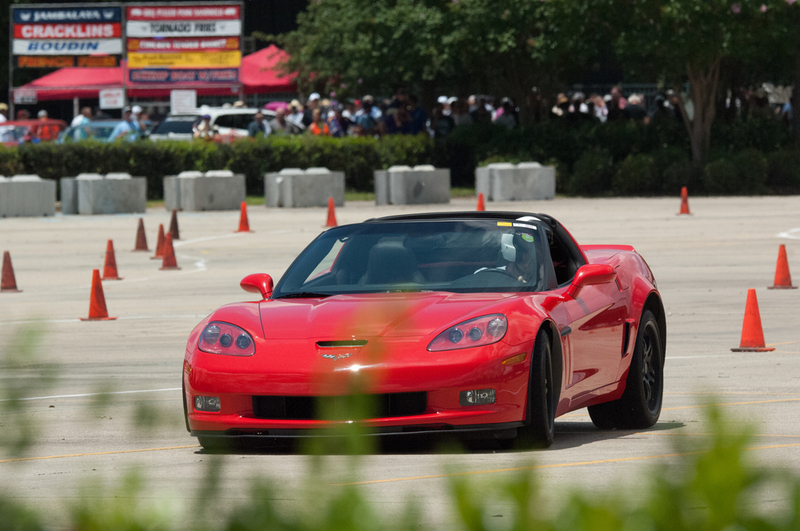 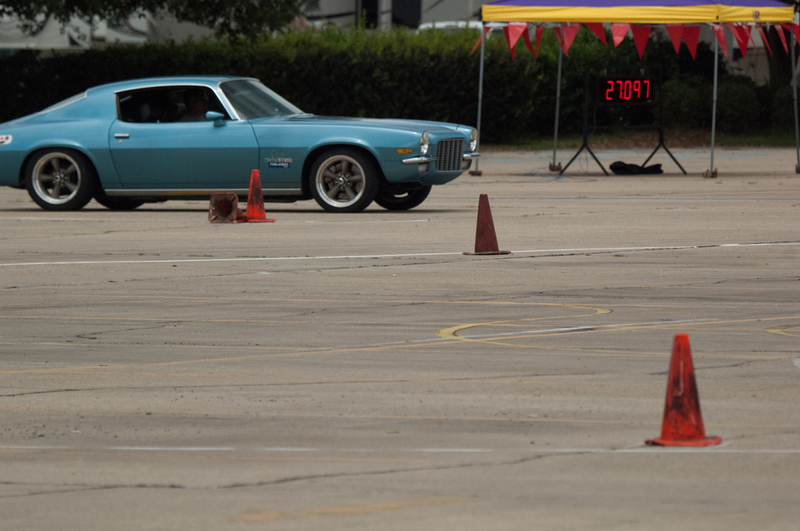 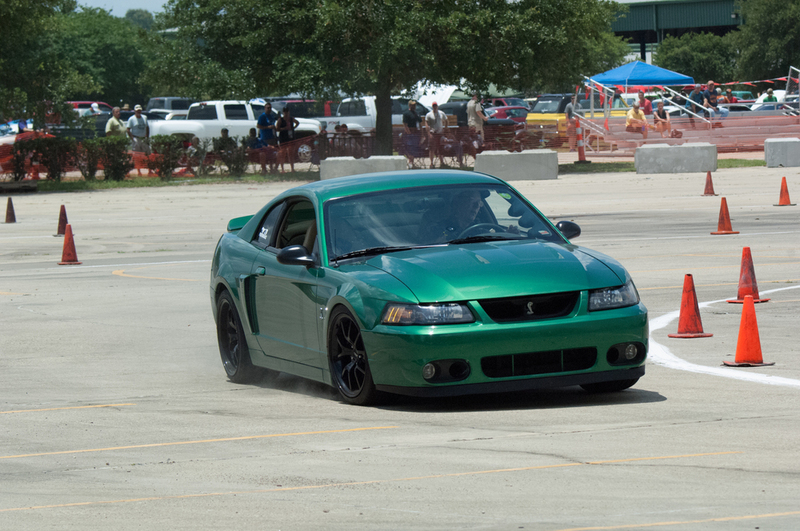 I took the long lens over to the Mothers Autocross and captured some of the drivers taking on the track. 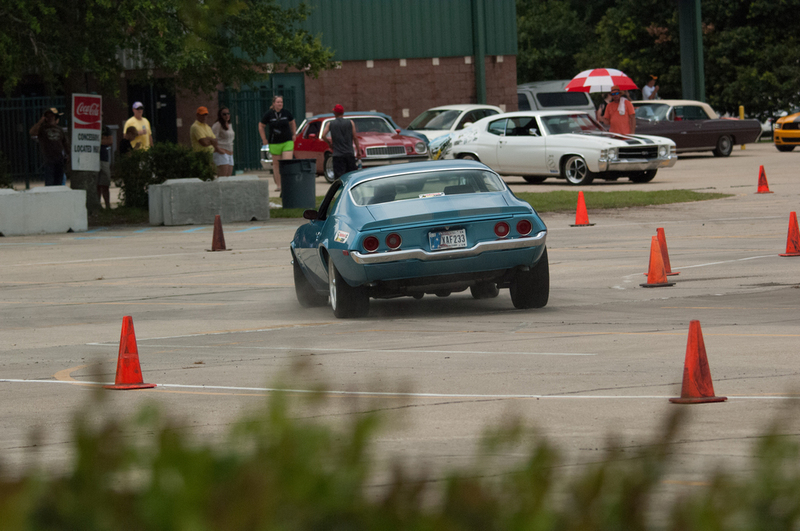 As the announcer noted, "The track isn't particularly tough on your car, but it does eat up your tires." 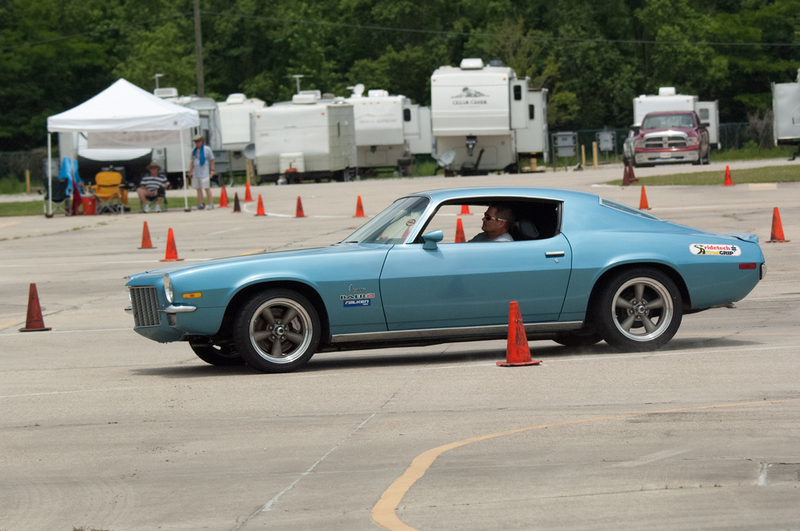 The Mother's Autocross track . . . . 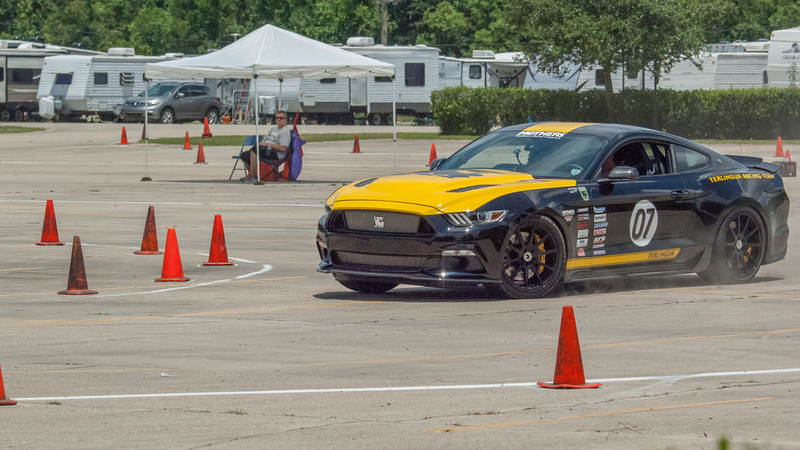 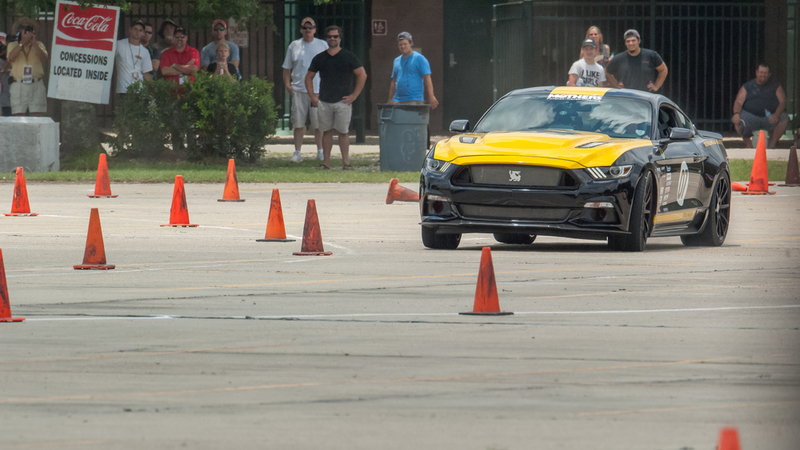 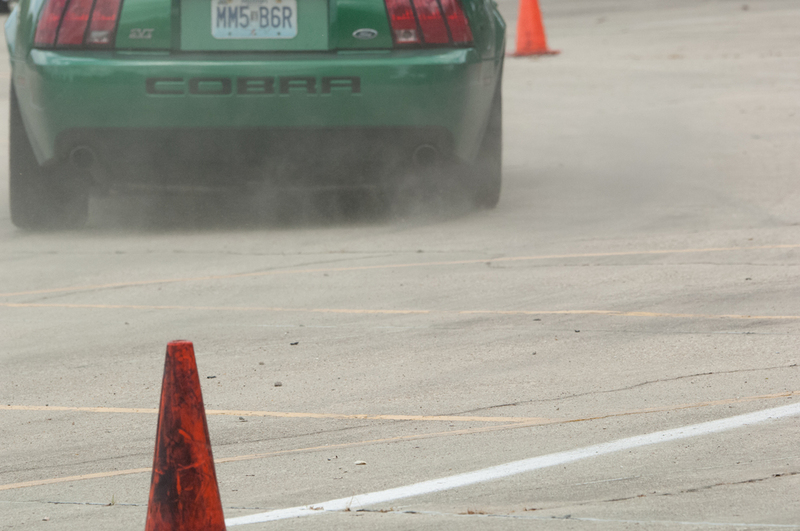 There's really just one rule: Don't hit the cones! 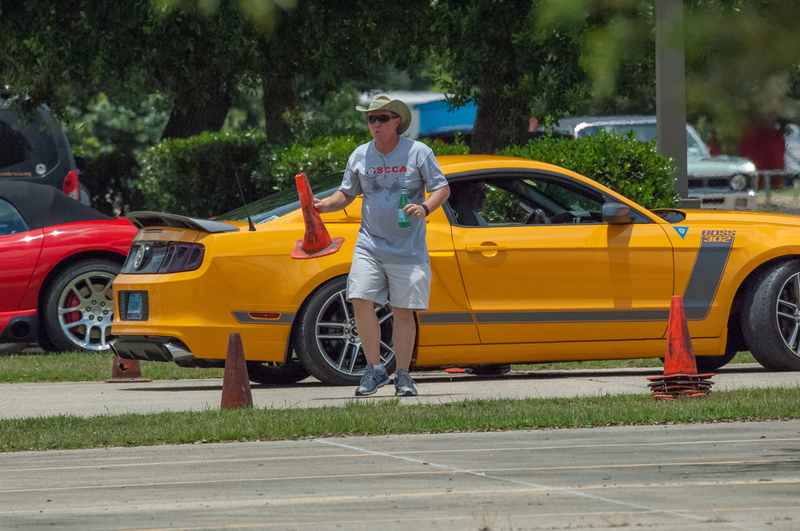 Where is that cone I ran over? 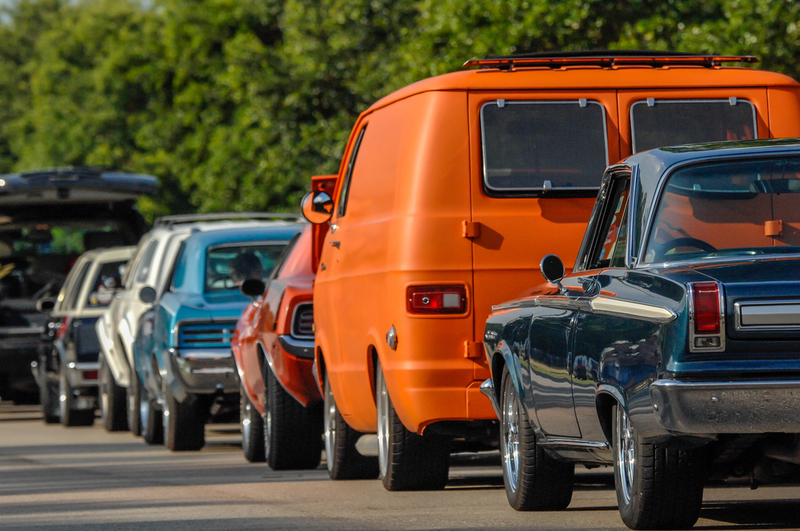 We ended the day taking a stroll through the parking lot -- one of our favorite times on the tour. 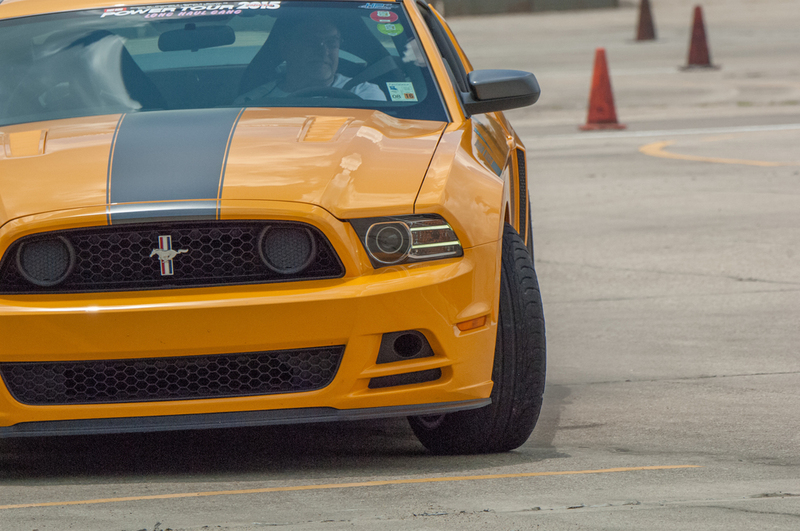 We saw this flamed rod.